I’ve declared my love for the brand Beauty Formulas before and in particular their face masks. Their cucumber mask is one of my staples and I’ve grown really fond of the mud mask too. As someone with sensitive skin I tend to be allergic to a lot of skincare (Simple, Olay etc) and I can’t use the Montagne Jeunesse sachet masks that everyone loves, as one burned my face last year, so for me it’s really awesome to have a budget brand that I can use and trust. 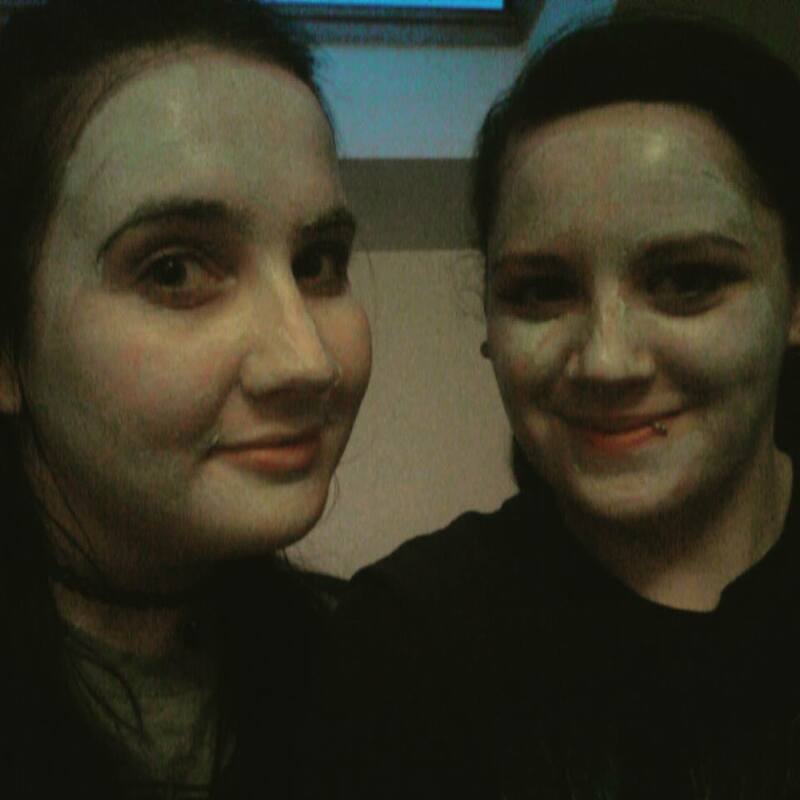 This christmas I was lucky enough to receive the Australian Tea Tree Deep Cleansing Facial Mask from my friend Alice and I hadn’t seen it before so I was very very excited. I’ve been using it lately and it truly is lovely, so here is my review. Starting with the packaging and I have to say that this is very green! Of course I love the tubes of these masks meaning that I can use them repeatedly and keep them sealed and I do think that the green does fit with the product of tea tree! The price of this mask is £3.99 from the official website although I usually grab these from Savers of Bodycare for a pound or two so these are easy on the wallet. “Beauty Formulas Tea Tree Oil originates from Australia. It is a natural antibacterial agent believed to have a number of beneficial effects and antiseptic properties. A clay based mask with deep cleansing properties to draw out impurities, unblock pores, absorb and remove excess oil, grease and dirt. Soothes and calms blemish prone skin. Leaves skin feeling clean and fresh. The texture and consistency of this mask is similar to the cucumber mask as it’s green clay only the smell of this is quite strong. To me tea tree was always minty but in this product it’s quite minty and lemony which isn’t a combination I’ve a fan of to be honest. Having said that, this mask actually works. I’ve had some deeply seated spots that have been under the skin for a while and this mask brings all of the crap that’s stuck in my skin to the surface where I can deal with it with spot treatments and cleanser and toner. I have combination skin so my skin can be dry and oily in different areas but this doesn’t dry out my skin nor does it add any sort of grease, it simply does what it says and deeply cleanses allowing you to thoroughly cleanse your pores. Yet again, Beauty Formulas have hit the nail on the head with this product. I’m not a huge fan of their sachet masks but their clay range that come in these tubes are brilliant and I just can’t fault them. I love this product and to be honest the smell is worth it for the deep cleanse. I would recommend this to those with oily/combination skin or to anyone who is spot prone or suffering with cystic acne with spots and lumps under the skin as this really helps. I would repurchase this. 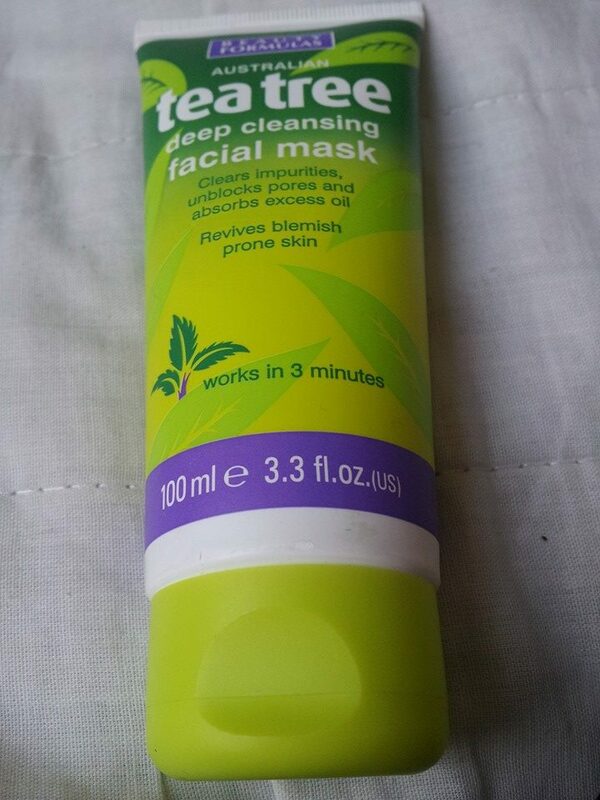 The Beauty Formulas Australian Tea Tree Deep Cleansing Facial Mask is available here for £3.99. I hope that you enjoyed this post and if you did please hit the like button and let me know in the comments if you have tried anything from the Beauty Formulas range or if you are considering doing so. This entry was posted in Beauty on a Budget, Skincare and tagged beauty formulas, cystic acne, deep cleansing, face mask, lucia widdop, ninarossbeauty, products I'd recommend, resurfacing, unblocks pores. Bookmark the permalink.